For the Chicago event, Abilities Expo has appointed Ambassadors—members of the local community of people with disabilities—to spearhead community outreach initiatives. These individuals will meet face-to-face with rehab institutions, independent living centers, local manufacturers, service providers and local associations to generate excitement and increase attendance at each event. Meet the impressive individuals who have chosen to represent Abilities Expo to the Community. 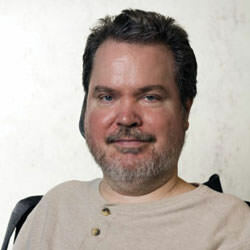 Mike Ervin is a writer and disability rights activist living in Chicago. His plays have been produced in theaters across America. As a journalist, he has written extensively about the community of people with disabilities for several national newspapers and magazines. 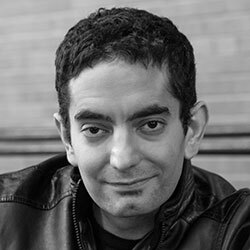 Currently, he is a columnist for New Mobility magazine and spinalcord.org. Mike is also a founding member of the Chicago chapter of the direct action disability rights organization ADAPT. Karen Kain—a parent of a medically fragile, vaccine-injured child named Lorrin for fifteen years—teaches parents how to enjoy their children no matter their abilities. She shares how she bridged the gap from special needs to mainstream experiences in all arenas of life: best friends, slumber parties, concerts, camping, beauty pageants, Girl Scouts, school dances, musicals and endless travels. Karen is committed to helping children who are living a unique life experience by supporting their parents. In 1994, Lorrin was severely vaccine injured and at that time Karen’s world fell apart. Life as she knew it was put “on hold” as she tried everything that she could to “heal” Lorrin and give her the best life possible. Karen was forced to overcome massive rejection and isolation as she hurdled obstacles and adapted her life to find success as a parent of a unique child. What Karen did not expect on this journey was that she herself would learn, grow and even heal from her experiences. It turned out that Lorrin was always the teacher. She taught Karen that life is full of magic, how to love herself, not to pass judgment, to be present in the moment whether it be at the hospital or Disneyland, beauty comes from within, and that we are all one and each soul is important no matter their ability. Lorrin was totally comfortable with who she was, even though she was cortically blind, nonverbal and a quadriplegic who lived with uncontrolled seizures for her entire life. When Lorrin was 3, Karen made a pivotal choice to embrace Lorrin’s uniqueness and enjoy all areas of life, living without rules and boundaries. Karen overcame life’s massive roadblocks as she raised Lorrin. Together they held their heads high as they paved the way to giving all parents permission to explore and enjoy life. Karen found that the solution to winning in this life of parenting a unique child started with being committed to having a great attitude and perspective regardless of their situation. As the first ever National Ambassador Family, the Rossiters are truly honored to represent Abilities Expo across the nation. Ten-year-old Ainsley is an amazing young girl living with INAD, an extremely rare, terminal, progressive disorder of the nervous system. Years ago, Ainsley participated in a marathon where her father, U.S. Marine Major Kim "Rooster" Rossiter, pushed her in her stroller. Ainsley's elation over the experience was the inspiration for Ainsley's Angels of America, an organization which helps people with disabilities participate in long distance events as a team. They are the "captains" in the wheelchairs pushed by "angels" through the races. 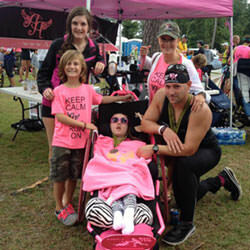 Many of you might have met the Rossiter family during the 2014 Houston Abilities Expo, where they offered expo guests the unique opportunity to test drive the Ainsley's Angels athletic ride-along experience created for children, teens, adults and veterans with disabilities who normally would not be able to experience endurance events. Rooster, currently in his 20th year of active duty service, serves as the President of Ainsley's Angels of America, the Vice President or Executive Director for more than a dozen independent Ainsley's Angels public charities, and as the Chairman of the Board for Team Hoyt New England. He and Lori, his wife of 16 years, hail from Lake Charles, Louisiana and are parents to Briley, Kamden and Ainsley. After serving tours in North Carolina, Washington DC, California, Okinawa, Africa, Korea, Norway and Operation IRAQI FREEDOM, the Marine Corps currently has the family stationed in Virginia. Over the last four years, 13-year-old Briley has pushed Ainsley in more than 30 road races as a way to ensure the two sisters share special moments together. When she was 11-years-old, Briley wrote the children's book Born an Angel to share their inspiring true story and to spread the message of inclusion in all walks of life. Published in 2013, the story of sibling love will warm your heart and encourage any reader to change someone's world for the better. For more information about the family and their efforts, visit www.AinsleysAngels.org. For some it would seem like an impossible situation being told that you would never walk again and not to bother, but for Vincenzo it was a challenge worth meeting head on. The former aspirations of becoming an EMT were a thing of the past as, after a fall and a diagnosis of Muscular Dystrophy, he was paralyzed on his whole right side. It would take around five years for Vincenzo to be able to gain enough function in his arm to use a manual wheelchair and begin his journey into a new life he never thought was possible. In 2016, Vincenzo began adaptive rowing with the Chicago Rowing Foundation and competed in several races, even taking first place home twice. However, his love for rowing was overshadowed by his passion for dance. He yearned to perform again! In November 2016, his dream became a reality when the director of Momenta Dance Company saw him dance in a workshop and invited him to join the company. Since then, he has performed with Momenta, dancing a duet with another male able-bodied dancer, and with the Academy of Movement and Music, which is the school that Momenta calls home. He was also honored to choreograph and perform a solo piece of his own for the 2017 Chicago Disability Pride Parade. In addition, Vincenzo competed in the 2017 Chicago Triathlon as a parathlete and took home first place in the Wheely Division! He continues to train with Dare2tri, a group that prepares athletes with physical, cognitive and visual disabilities to compete in triathlons. It is his courage and determination that has brought him to Abilities Expo as a new ambassador. He believes anything is possible as long as you believe and wants to bring others with disabilities the chance to shine. 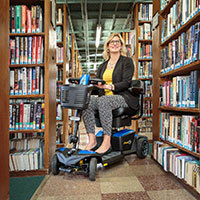 Stephanie Woodward is a passionate Disability Rights activist and proud disabled person. She is the Director of Advocacy at the Center for Disability Rights, Inc. (CDR) a disability led, not-for-profit Corporation that works for national, state, and local systemic change to advance the rights of people with disabilities. 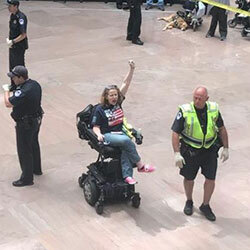 Stephanie is also a member of ADAPT, a national grass-roots community that organizes disability rights activists to engage in nonviolent direct action, including civil disobedience, to assure the civil and human rights of people with disabilities to live in freedom. Stephanie has been arrested multiple times while advocating for Disability Rights. Prior to joining CDR Stephanie worked as a litigator in Miami, Florida focusing on Disability Rights. Stephanie attended Syracuse University College of Law where she earned her J.D. with a certificate in Disability Law and Policy and her M.S.Ed. in Disability Studies. Stephanie previously worked for Senator Tom Harkin (IA) and assisted his Disability Counsel on the U.S. Senate Committee on Health, Education, Labor, and Pensions by researching, drafting legislation, and making recommendations for legislative action in regards to disability rights issues. Most recently, Stephanie, along with fellow members of ADAPT, assisted in drafting the Disability Integration Act (DIA) – a piece of legislation that, if passed, would affirm the rights of people with disabilities to receive long-term services in their homes, rather than nursing facilities and other institutions. While Stephanie’s work spans across all areas of Disability Rights, she is particularly interested in deinstitutionalization, community living, ending violence against people with disabilities, and improving access in the community. She loves talking about legislation that will impact the Disability Community and helping others to become activists for Disability Rights. When Stephanie is not doing Disability Rights work, she can be found playing with her adorable nieces, taking care of her four cats, and eating copious amounts of cheeseburgers and onion rings.